Now that your bracket is likely littered with red marks, there’s still plenty to enjoy about March Madness. Don’t put all your eggs into the brackets during this time of year. There are still odds on every game to go along with some nice prop bets that can last the entire tournament. Here’s my favorite prop bets from Mytopsportsbooks.com. What seed will win the NCAA tournament? Well, it’s probably not going to be a No. 5 seed, unless Auburn catches fire. The Tigers are the lone No. 5 seed to advance to the Sweet 16, so that is by far the best return, but the longest shot. And even though Auburn looked unstoppable against Kansas, the Tigers have a terrible matchup with North Carolina, which is better at what Auburn likes to do. It’s tough to go against the No. 1 seeds, especially with each one remaining. Duke looks mortal, but those teams are there for a reason. But I hate the value of that pick. Instead, I’d focus on the No. 2 seeds. Kentucky, Michigan State, Michigan and Tennessee have all been really good this season and have looked pretty good for the most part in the tournament. The Wolverines are regularly a March Madness sleeper, and the Spartans look like they could give Duke some problems. Tennessee has a nice road to the Final Four, while Kentucky has a good enough defense to compete. Ignore the terrible value with No. 1 seeds, and look to the No. 2 seeds for the best value. How many No. 1 seeds will reach the Final Four? The None is not looking good. And that’s just not plausible. At least one of the No. 1 seeds is going to make the Final Four, so we can throw out that number. The safest pick is two. Even though the value is bad, I’m pretty high on the No. 2 seeds, so I could easily see Virginia and Gonzaga losing to the No. 2 seeds, while Duke and North Carolina advance to the Final Four. It’s not great with the value, but I’d favor that number over either one or three, or even worse four No. 1 seeds making the Final Four. It’s not the best value, but nothing in the first weekend has changed my mind. Williamson is the most-watched player in the tournament, so even if he’s not the best player in the tournament, his hype will create enough incentive to people to book him as the Most Outstanding Player. Duke will be in the most high-profile games, and even after struggling in the second round, the Blue Devils can come back and reach the Final Four. And if Williamson is in the Final Four, and then subsequently the finals, there’s about no way he’s not going to win this award. 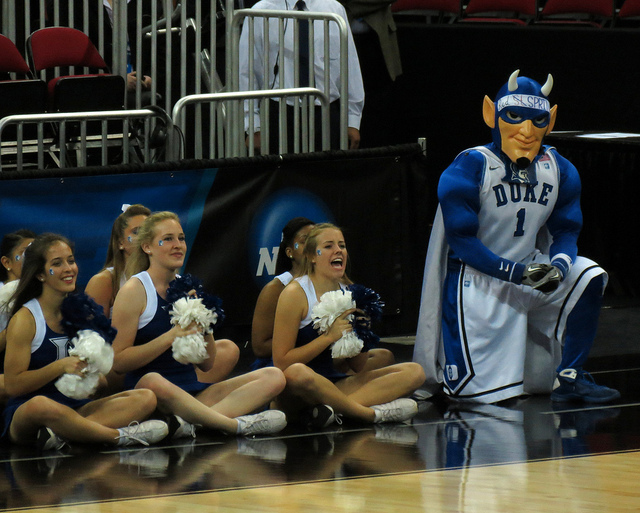 It’s tough to predict, since we don’t know how far the Blue Devils will advance in the tournament, but Williamson offers the best bet.